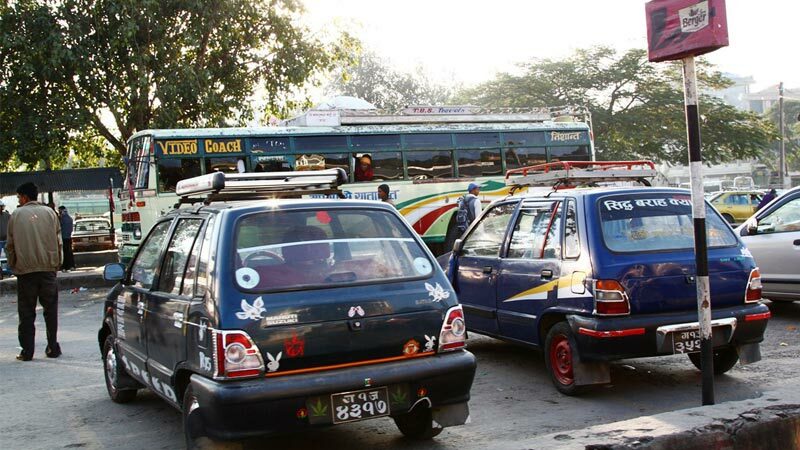 One can get around Pokhara by taxis, which cost way more than local buses, but one has the luxury of having a private seat, the convenience of having baggages in safe place and reaching the desired place without the hassles of having to walk with the baggages after leaving the local buses as routes may not exist where one needs to go. Further, one can hire cars from a number of different service providers. Hiring cars is very expensive, in fact the most expensive means for getting around the city, but all for the highest degree of convenience for the traveller, as one gets the advantage of having his temporarily private mode of transport for visiting and roaming the city.